The band’s instrumentation consists of seven marimbas (two sopranos, one alto, two tenors, a baritone, and a bass), gourd shakers called hosho, mbira (“thumb piano”), and drums. The songs are sung in the Shona language. The sheer pleasure of playing is the glue that bonds the band together, and the desire to share this music with others is the fuel that fires Boka Marimba. Dumisani “Dumi” Maraire, the late Zimbabwean master musician, composer and ethnomusicologist, brought this music to the Pacific Northwest in the 1960s. Marian Grebanier formed Boka Marimba in 1987 with a group of people from the area who fell in love with the spirit and sound of this music. Dr. Maraire taught the band a large part of its current repertoire. The band later expanded its repertoire with arrangements taught by Ephat Mujuru, Alport Mhlanga, Chris Berry, and others. We also perform original compositions and arrangements in the same style. We play Zimbabwean style marimbas. The keys are made of Padauk, Wenge, Honduras Rosewood, and Cherry. The resonator tubes, made out of PVC pipe, are fitted with cellophane or “space blanket” buzzers that provide the characteristic Zimbabwean sound. They are constructed by band members and by Carl Dean of Portland. The mbira, a “thumb piano” with 24 metal keys, is the primary traditional instrument of the Shona people. Many of our songs are contemporary adaptations of traditional melodies played on the mbira. Aisha Beck, Nathan Beck, Eric Berkley, Elgin Dean, MyLinda King, Eric Miller, Eric Orem, and Karin Tauscher. Dancing and playing music brings Aisha Beck much joy. She has played in Boka since 2002 and has managed the band with Karin since 2006. Aisha teaches math and theory of knowledge to middle and high school students. She spends time running, hiking, and caring for cats, both her own and ones at the Cat Adoption Team where she volunteers. Nathan Beck has been a percussionist since high school. He was very involved in drum and bugle corps (Argonauts and Santa Clara Vanguard) in the 1980’s. 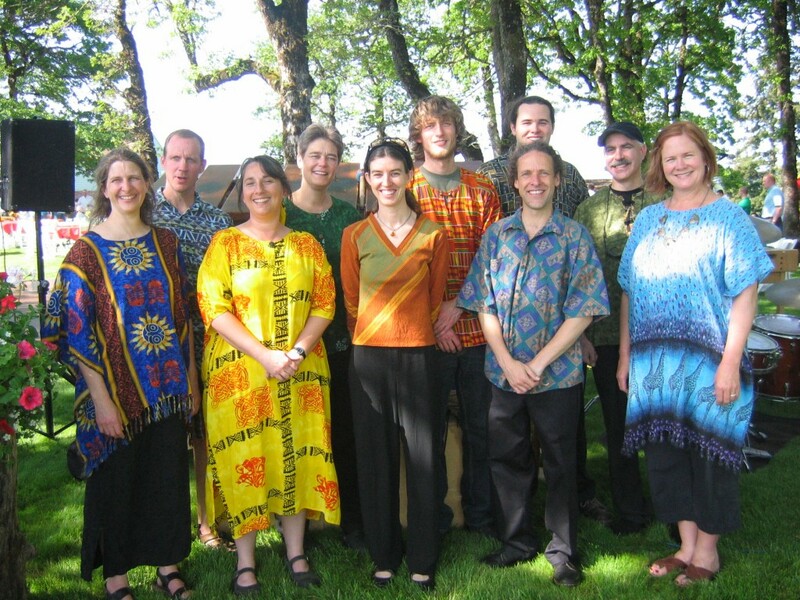 After graduating from Lewis & Clark College in 1992, Nathan joined Boka Marimba. He spent 18 months traveling and learning the mbira tradition in Zimbabwe. Some of his teachers include Tute Chigamba, Garadziva Chigamba, Garikayi Tirikoti, Wiri Chigonga, Cosmas Magaya, Musekiwa Chingodza, and Forward Kwenda. 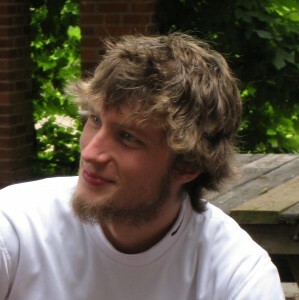 Currently, he daylights as a math and marimba teacher in Portland Public Schools. 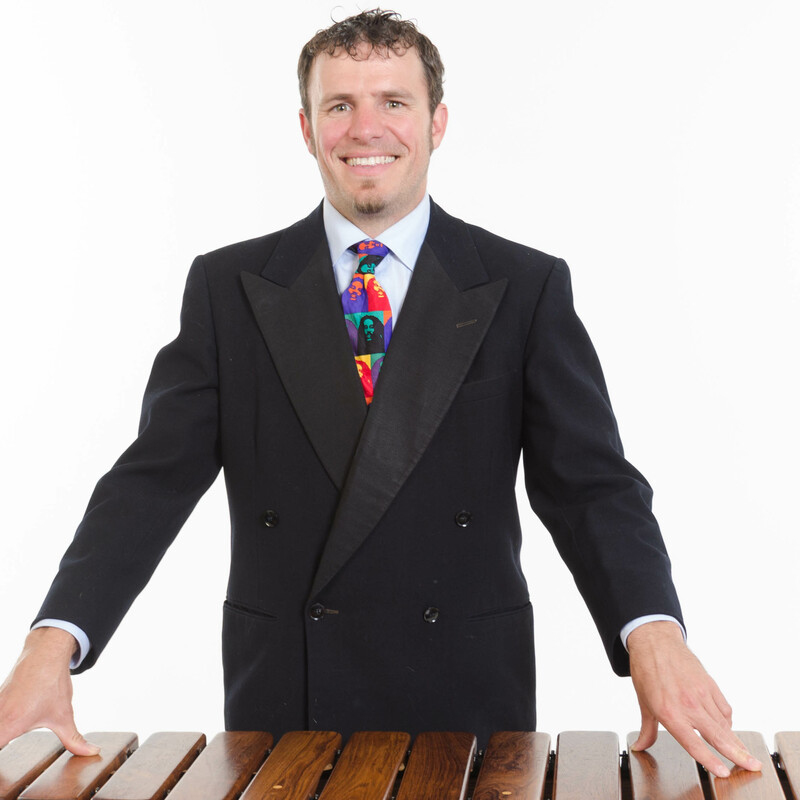 Eric Berkley has been a member of Boka Marimba since the fall of 1994. 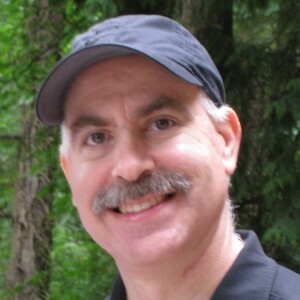 Eric has played drums and percussion in numerous bands throughout his life. 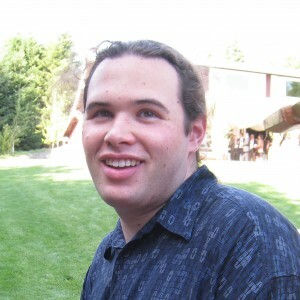 He graduated college from University of Connecticut and currently works as an IT Manager. MyLinda King joined Boka the first time in 1989 when the band was transforming itself from students of Dumi Maraire into a professional band. She played with Boka for 10 years before taking a break to raise two kids. During this time she taught marimba classes in her home studio and several have launched into bands as well. She was also busy starting marimba programs in the schools. MyLinda is thrilled to be playing with Boka again after a 16-year hiatus and happy that the band has managed to not only survive 25 years but become stronger. Eric Miller rejoined Boka Marimba in 2013 after an eleven year hiatus. Eric teaches marimba at many locations throughout the Portland area. When not playing music Eric can often be found paragliding. Eric Orem has been playing percussion for over a decade, which is most of his life. He started playing and making marimbas at 11 and played with a number of groups before joining Boka in 2006. He also plays with Thomas Mapfumo. 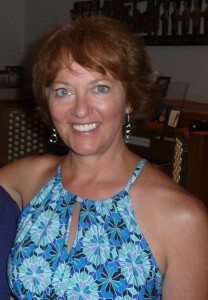 Karin Tauscher has been a member of Boka Marimba since 2005, and has managed the band with Aisha since 2006. She lives in Hood River, OR. When she’s not commuting to Portland to play with Boka, Karin teaches marimba at her home studio, Musango Marimba Center (www.marimbamusango.com). She lives with her husband and 2 sons, 2 dogs and a cat. In addition to playing marimba and mbira, Karin enjoys being outdoors….on the river, in the mountains, or just in the yard; reading, gardening, and spending time with her family.